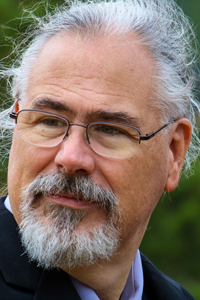 Robert Sparks is on the Internet Architecture board (since 2015), is the program lead for the RFC Editor program, and is the IAB shepherd for the liaison relationship with 3GPP. Robert is a member of the RFC Series Oversight Committee, the Tools Development team, and is the Tools Project Manager. He is a co-chair of the STIR working group, and is a past-chair of the SIMPLE and GEOPRIV working groups. Robert was an Area Director for the Real-time Applications and Infrastructure area from 2009-2013. He is a co-author of the core SIP specification and several of its updates and extensions, and has focused on improving the level of interoperability of SIP implementations by coordinating the SIPit interoperability events. He is also an active open source contributor. Robert served as a Senior Principal Member of Technical Staff at Oracle, Principal Engineer at Tekelec, VP of Research and Development at Estacado Systems, CTO at Xten Networks (now CounterPath), and has held management and research positions at dynamicsoft, Lucent, Worldcom and Texas A&M University. Robert has a BSc in Computer Science and a MSc in Mathematics from Texas A&M University. Robert has no active drafts as of 2019-04-23.